Moroccan Chandeliers or Moroccan Dreams? Or maybe dreams of Moroccan chandeliers. Anyway, I hand-forged and flame painted this 14g copper wire. Of course, the forging gives you shape and texture. And heating the copper with my torch gives these earrings the delicious reds and blacks. 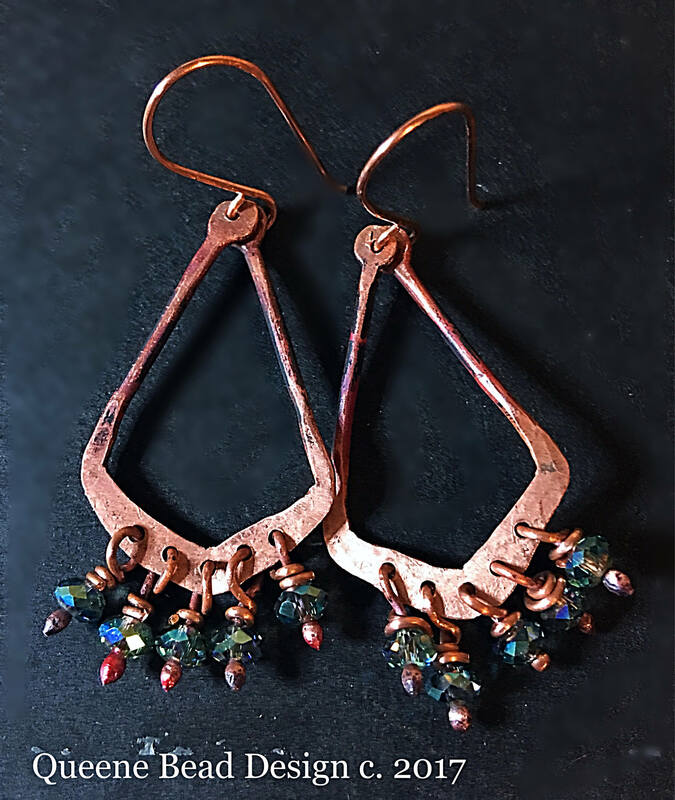 I dangled premium Czech crystals from balled copper wires. If you notice, the tiny ball on some of the headpins are pink. That's what happens when you heat copper super hot, then drop immediately into cold water. Just another layer of color. Handmade ear wires, as well. These earrings are customizable. I have brass, silver plated and bronze Wire available. As well as many colors of crystals.